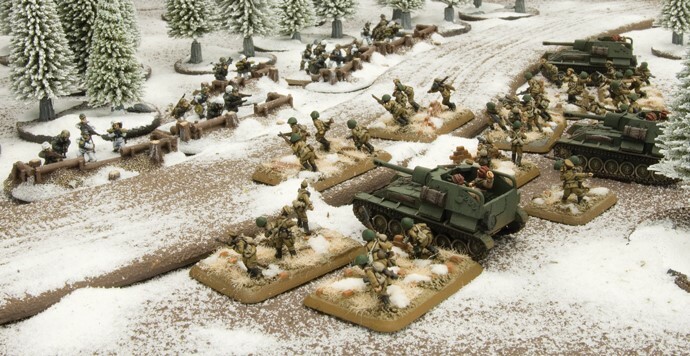 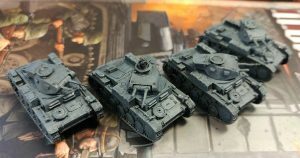 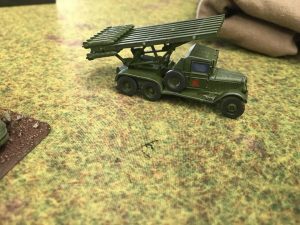 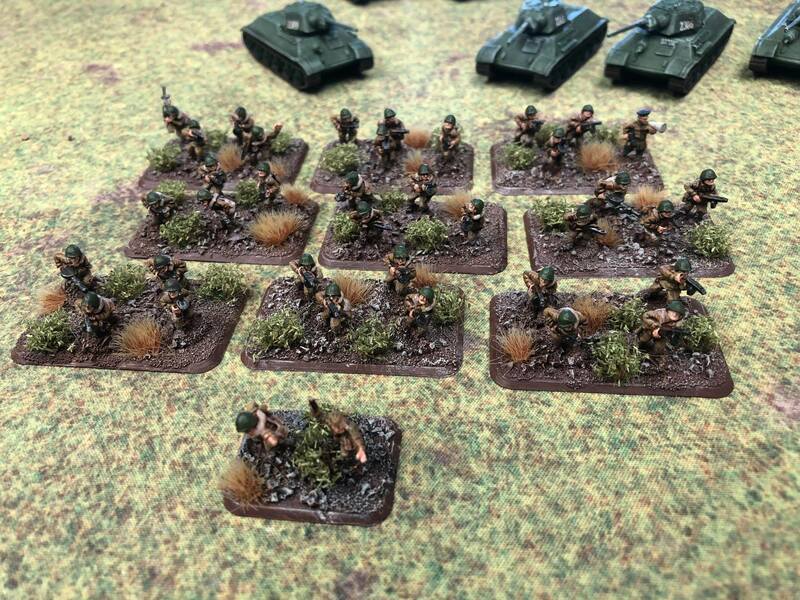 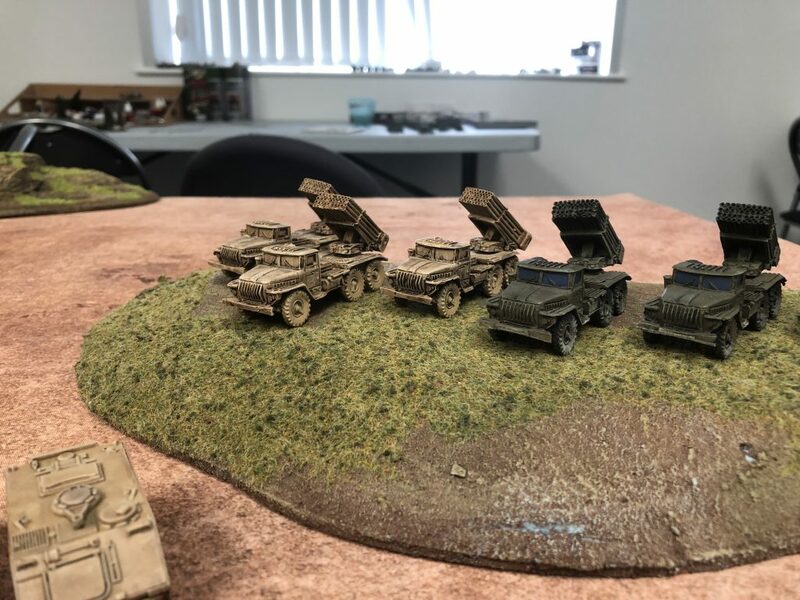 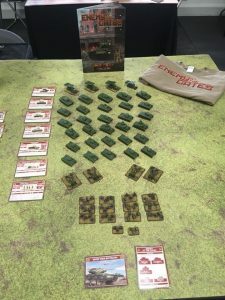 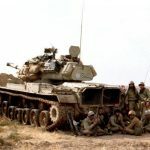 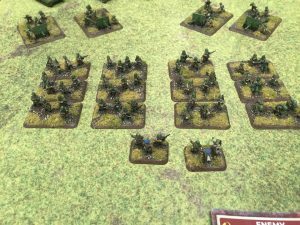 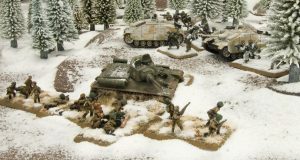 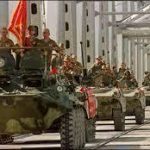 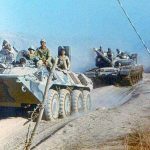 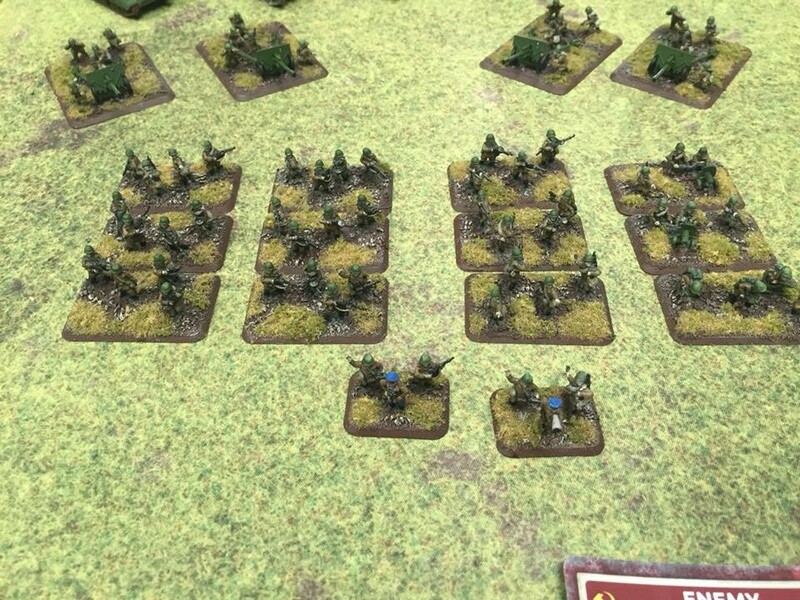 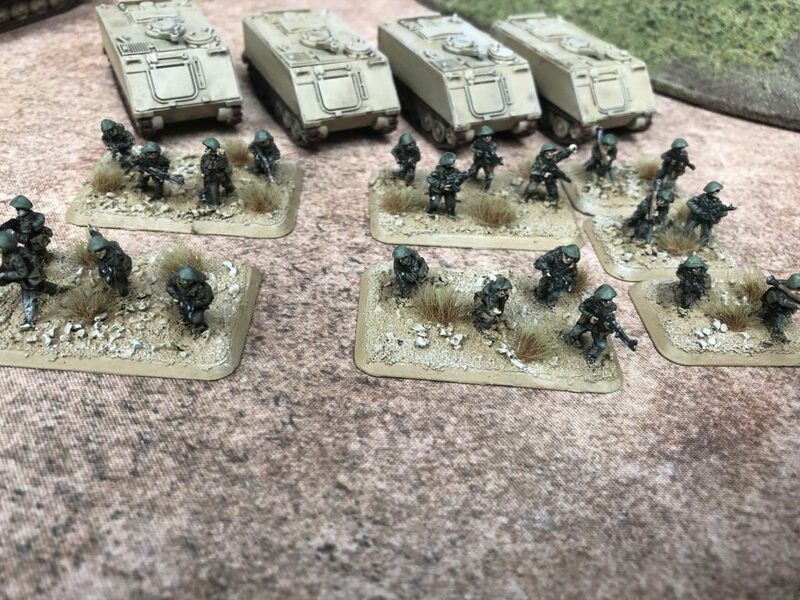 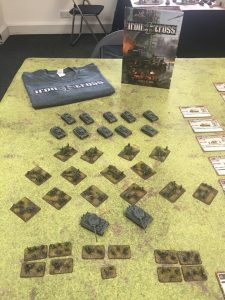 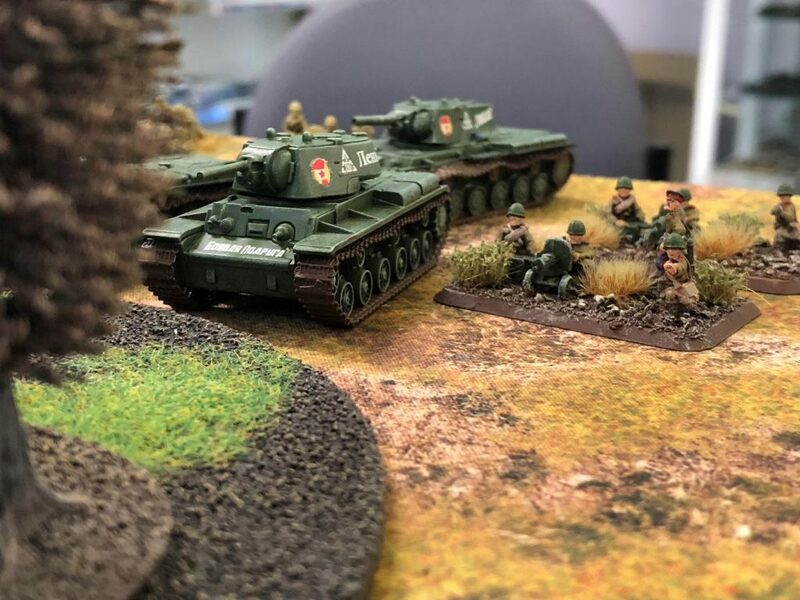 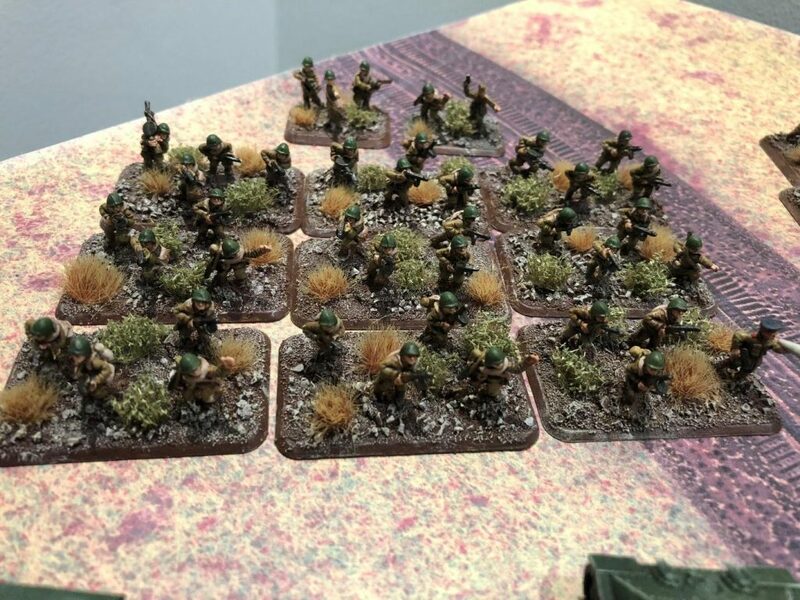 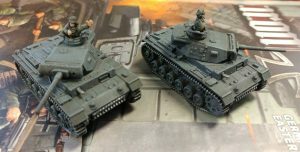 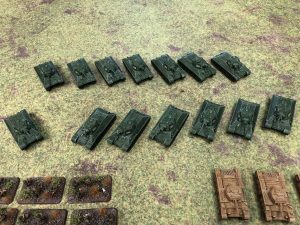 So now that I have fully completed painting my 100pt Mid-War Soviet force, I figured it was time to sit down and have a little look over what happened to me in my terrifying journey of hordes of infantry and tanks. 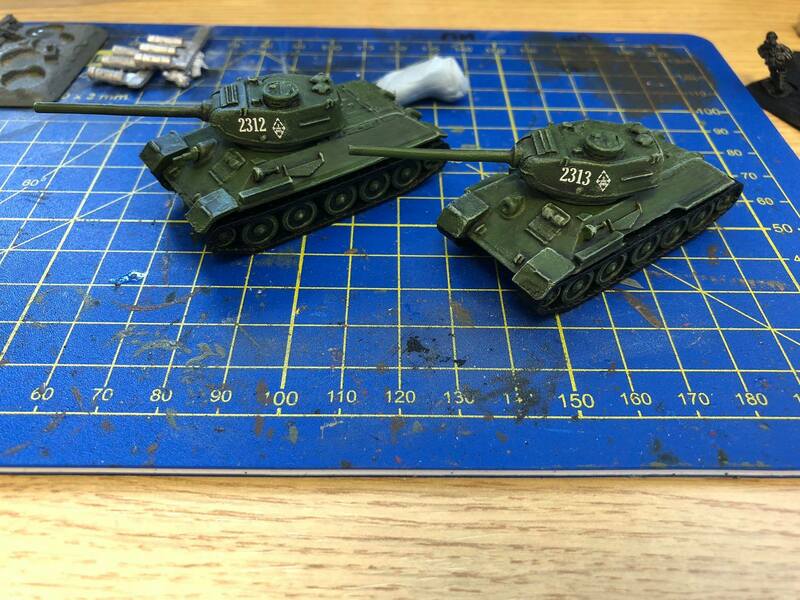 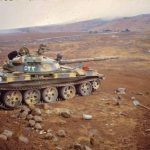 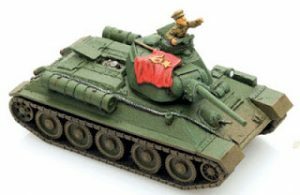 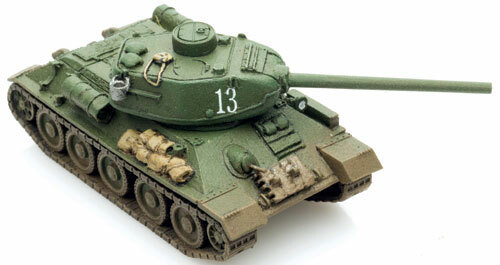 I had to have T-34s as they epitomise Russian armies for me, especially in Mid-War. 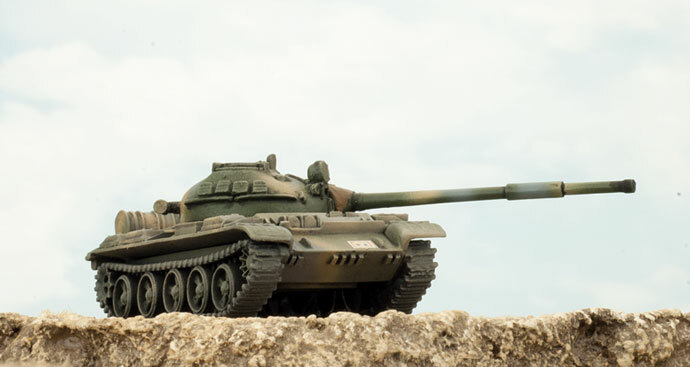 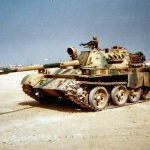 Before the big guns such as the KV1 really came into their own and the mobile assault guns became prevalent in the Late-War (Kursk) period, T-34s were the one trick Soviet battlegroups had up their sleeve. 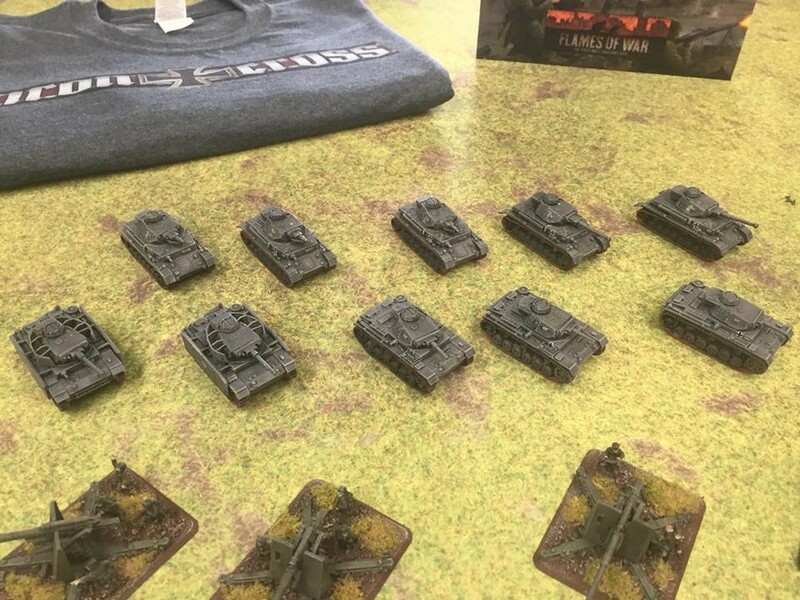 From the initial battles at the start of Operation Barbarossa when German commanders were shocked at the hitherto unseen T-34 and it’s revolutionary armour design, to the victory at Stalingrad the T-34 was there and fighting for the Motherland. 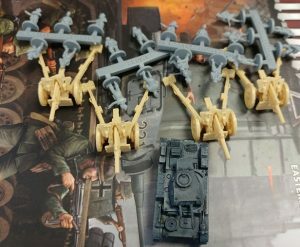 Initially I wanted as many as possible. 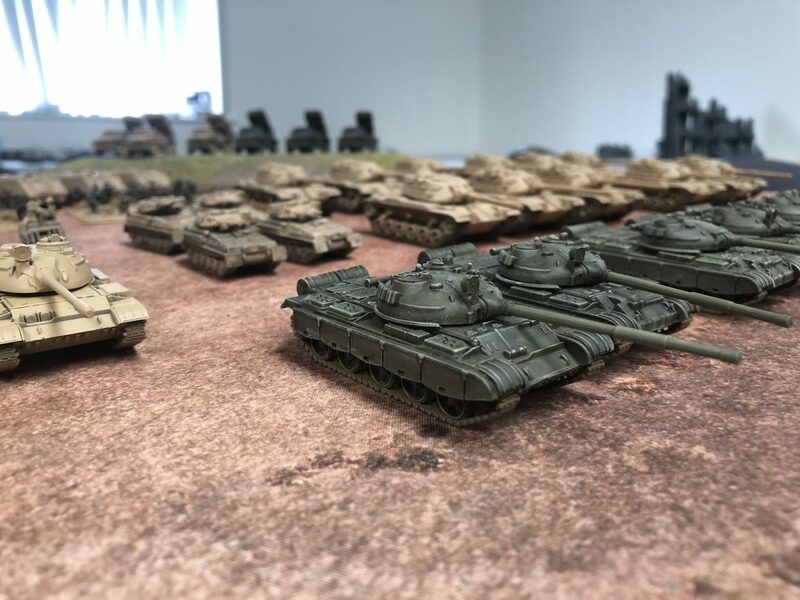 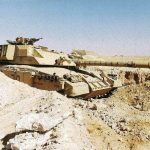 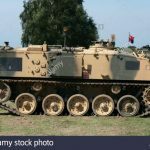 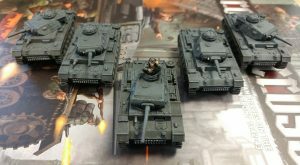 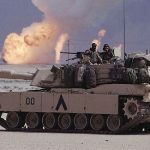 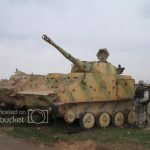 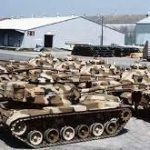 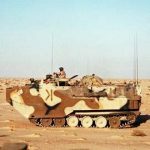 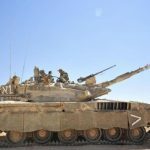 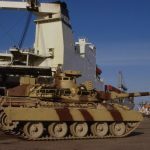 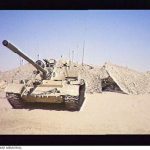 LOTS and LOTS of tanks! 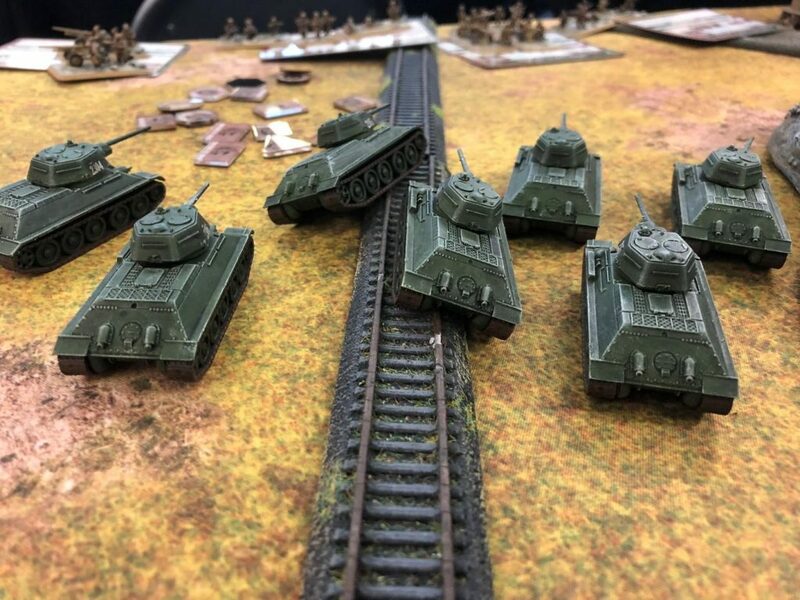 Theoretically I could have taken 21 T-34s, although points wise this would have put me severely over the limit we were working toward. 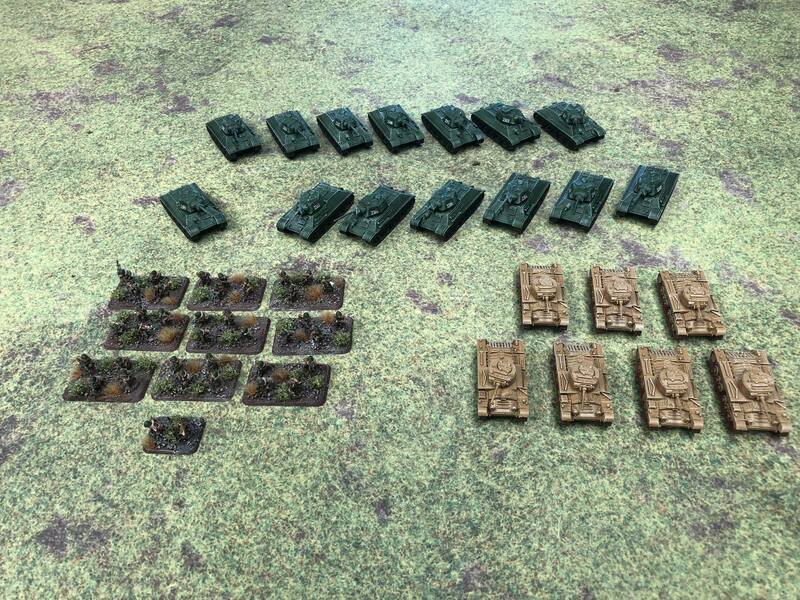 So regrettably, I had to reduce the amount, as also having just one formation with 2 platoons would have been fairly unworkable in a gaming sense. 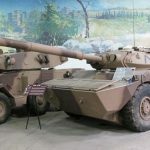 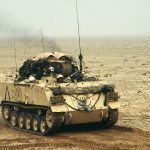 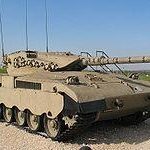 I still managed to fit 14 into my list however, split between the HQ and two companies, one of 6 tanks and one of 7 tanks. 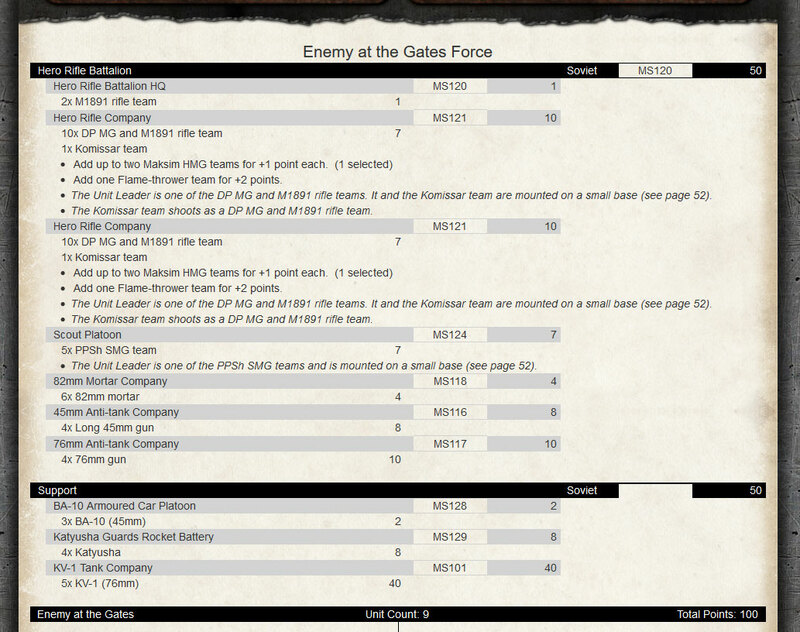 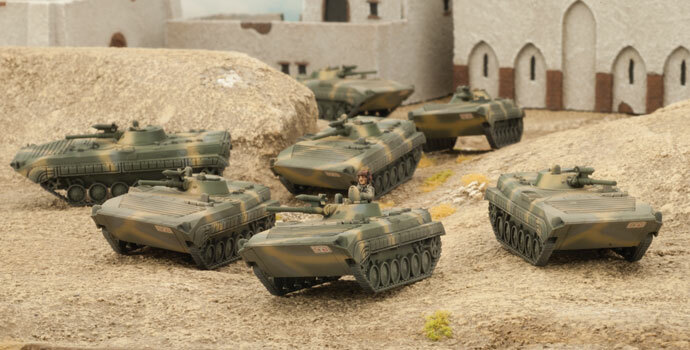 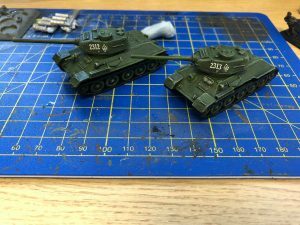 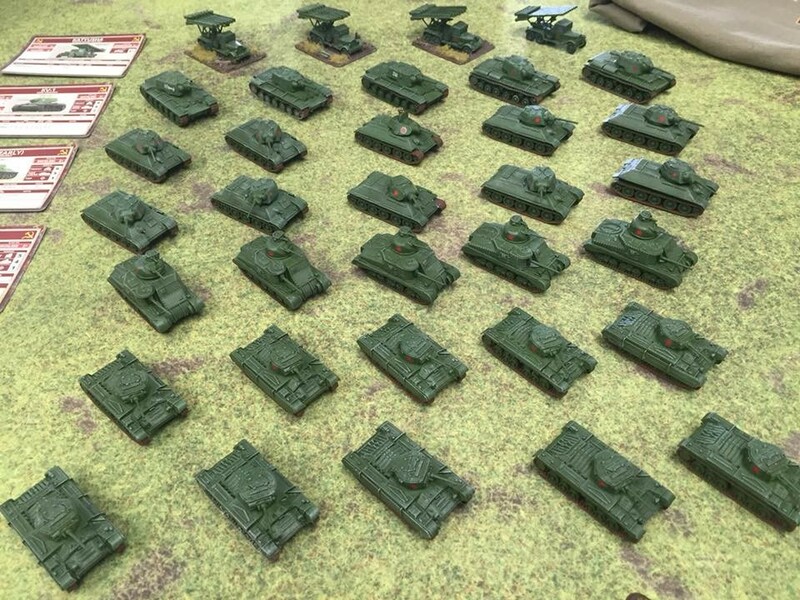 At the start when we were building our lists, whilst looking at the support options and what was allowed as optional platoons in the T-34 list, I was planning on taking a full SMG company of 22 stands of infantry in true Soviet Horde fashion. 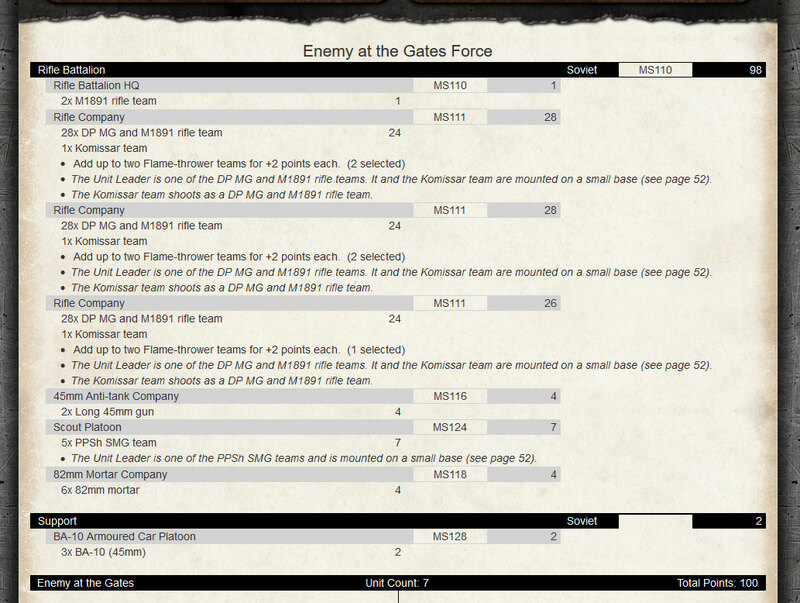 Added to this was going to be x2 Flamethrower teams for maximum attack in assaults. It was only after fixing together the first 9 stands that I realised the enormity of the task before me. 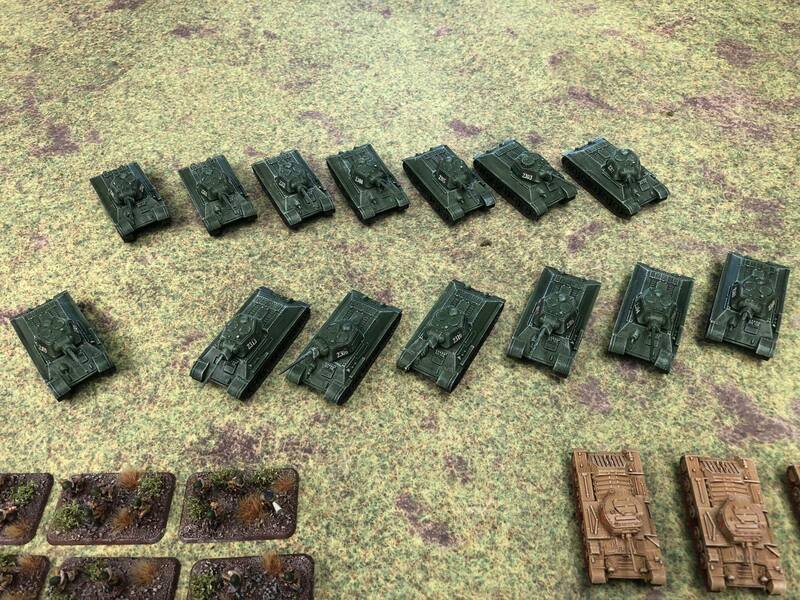 I quite wisely chickened out and reduce my options to a Hero SMG platoon at 7 stands and a Kommissar stand. By using the command card to upgrade them to being a Soviet Naval Battalion, this gave them better stats as regards to motivation (with the Kommissar’s motivation secondary bonus not unlike the 6 million bayonets for Avanti forces). 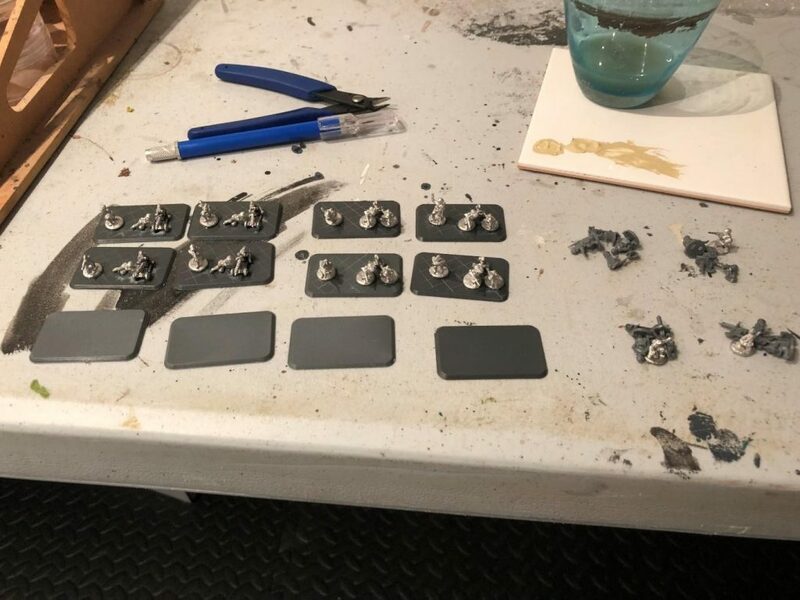 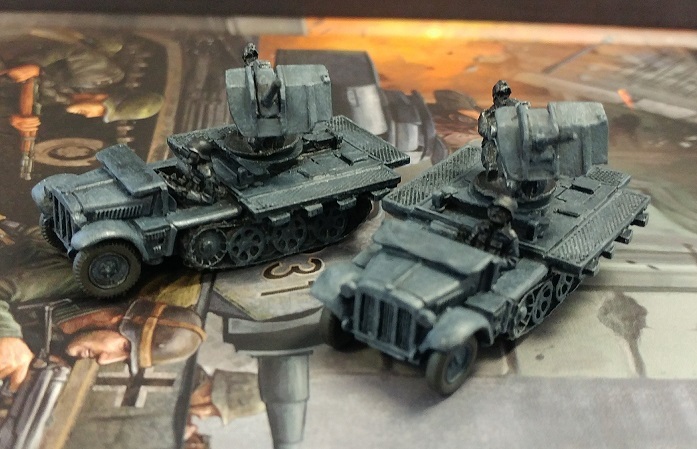 By doing this, I managed to reduce my model count considerably which overall meant that I was able to speed up the painting process from a few months to a little under a week. 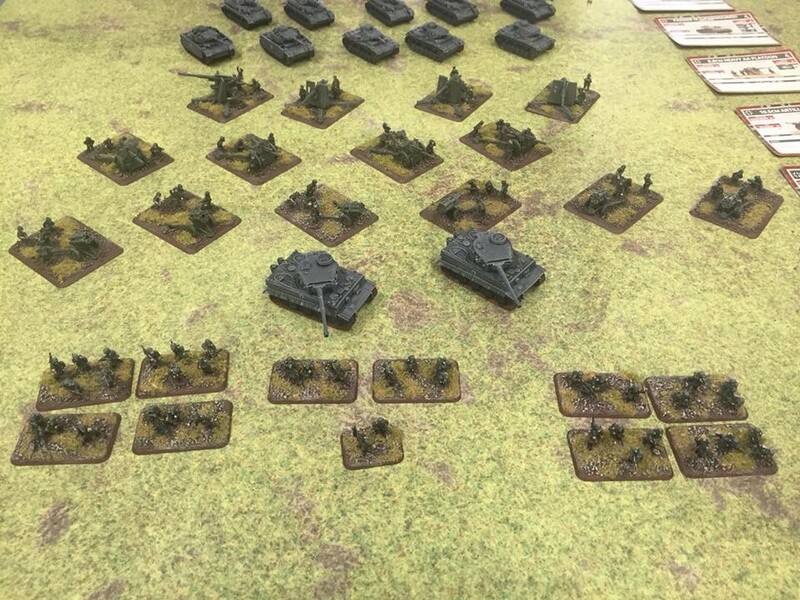 Further, I now had 17 points to play with (after taking out the 4pts for the Naval Command Card) What perfect way to round out my list with more tanks? 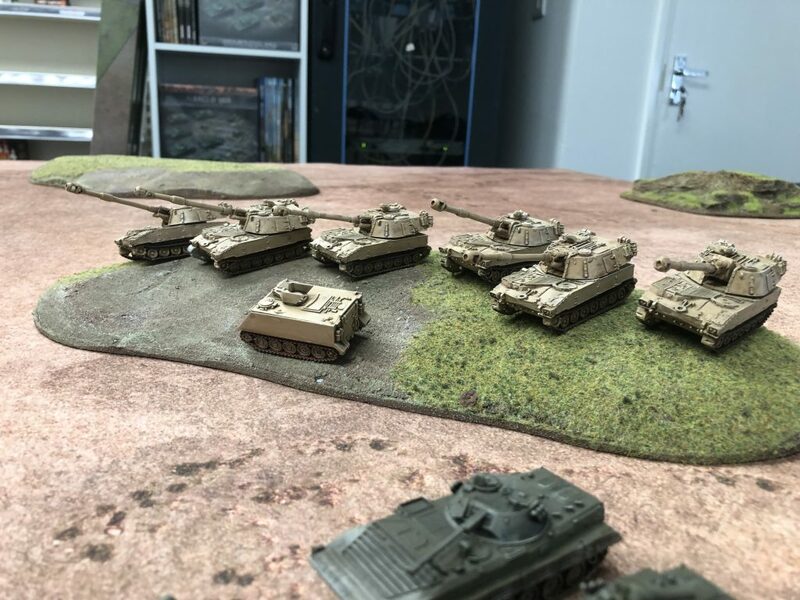 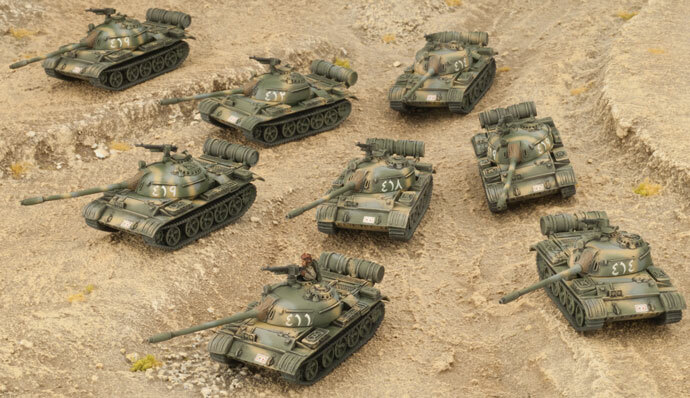 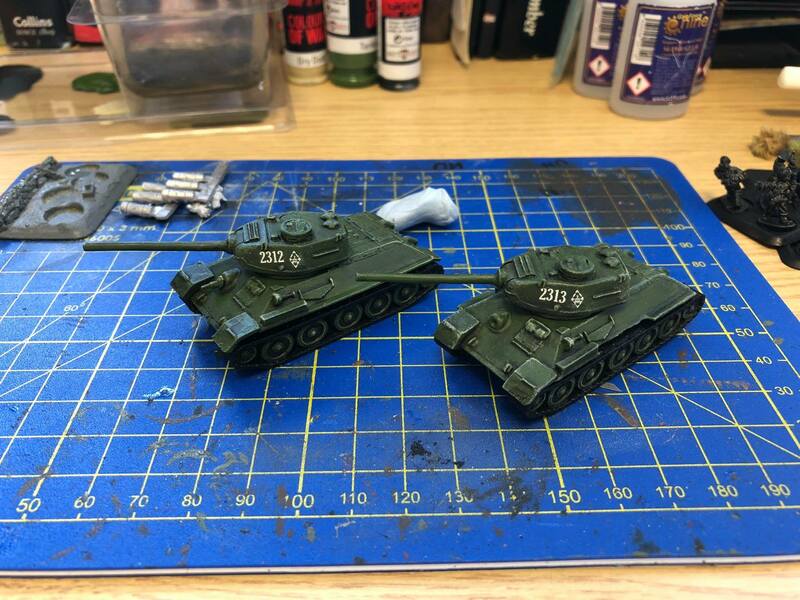 And rather than a third platoon of T-34s, I went for the ‘more bang for your buck’ Lend-Lease tanks in the form of a platoon of Valentines, 7 strong. Although slower than the T-34s after looking at the stats they can form a much better screen for my SMG troops who will be holding objectives and generally assaulting buildings and dug in infantry that the tanks haven’t managed to squash. 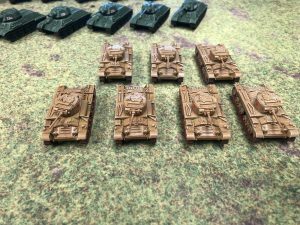 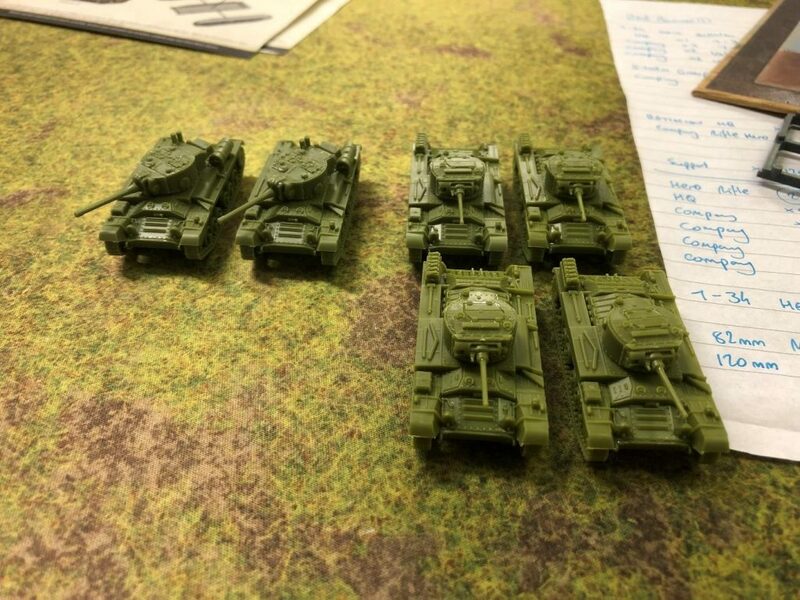 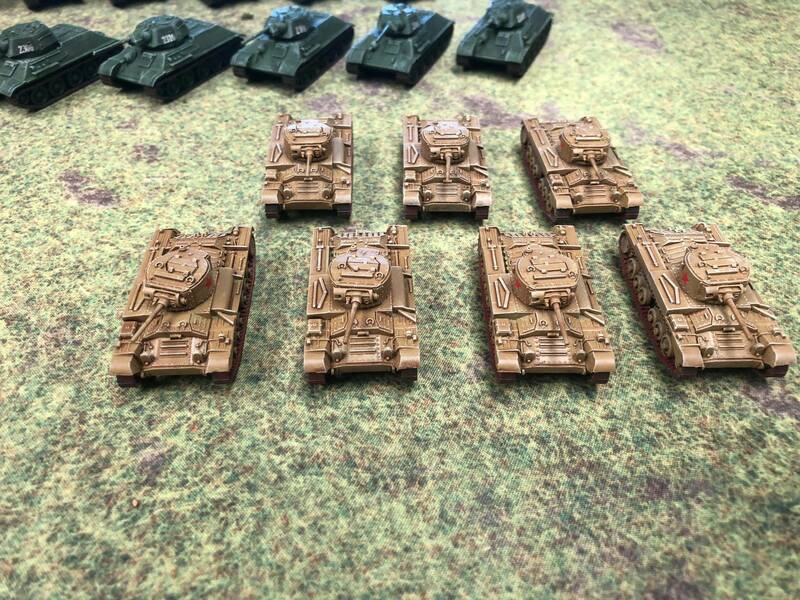 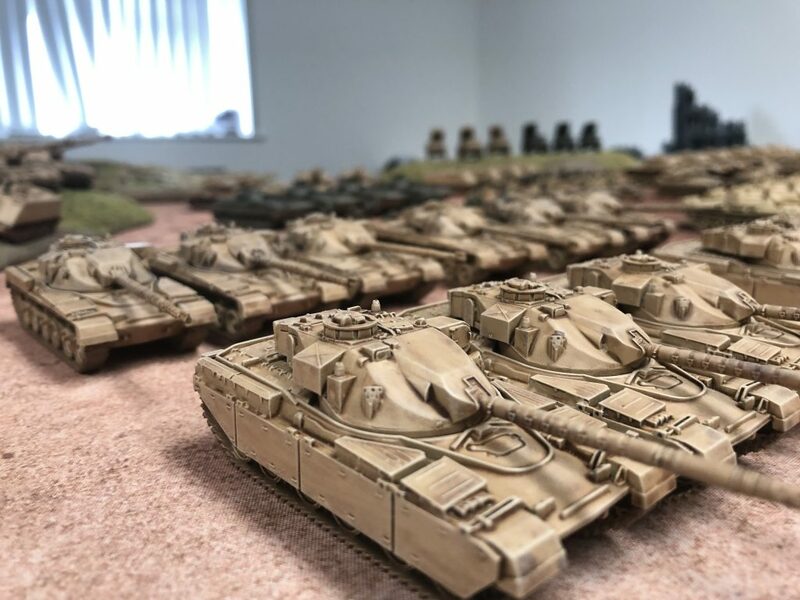 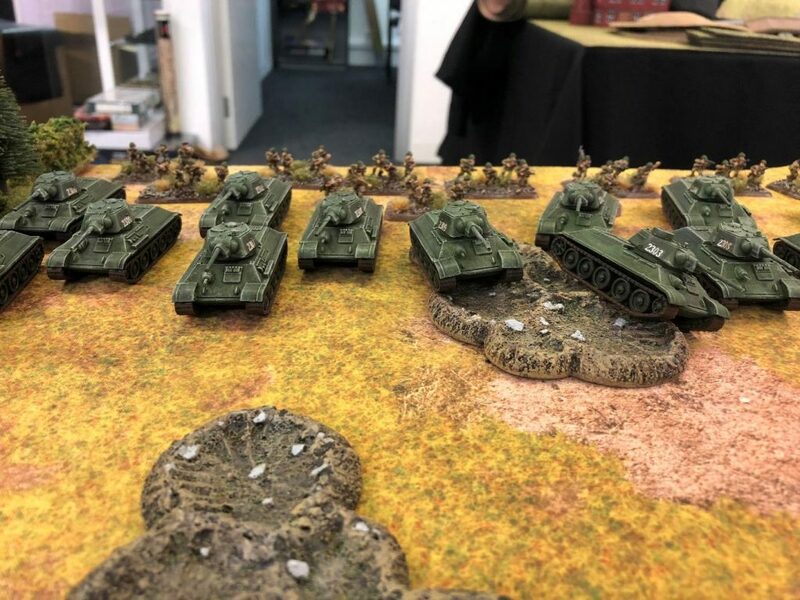 So although the list wasn’t quite as I earlier envisaged, I did manage to take a total of 21 tanks (yippee) as well as infantry, that although wont be game winning against certain other lists, is thematic and looks cool as they stream toward the enemy. 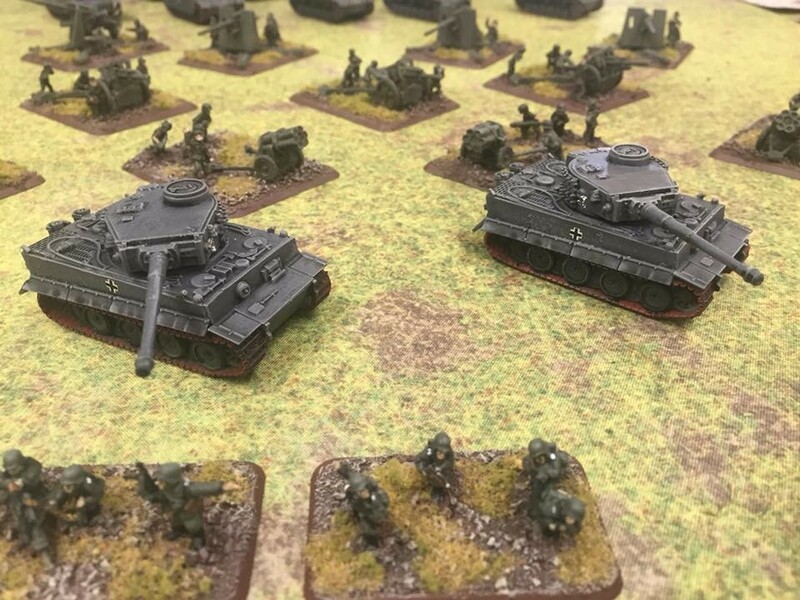 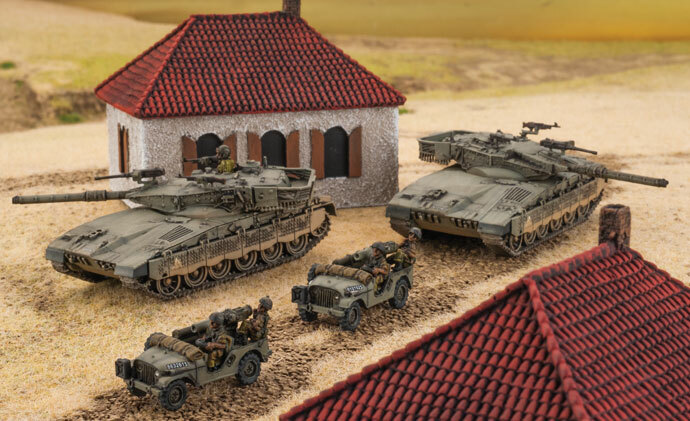 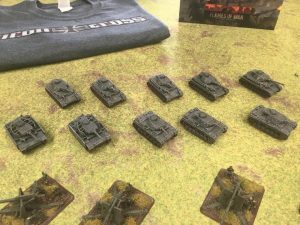 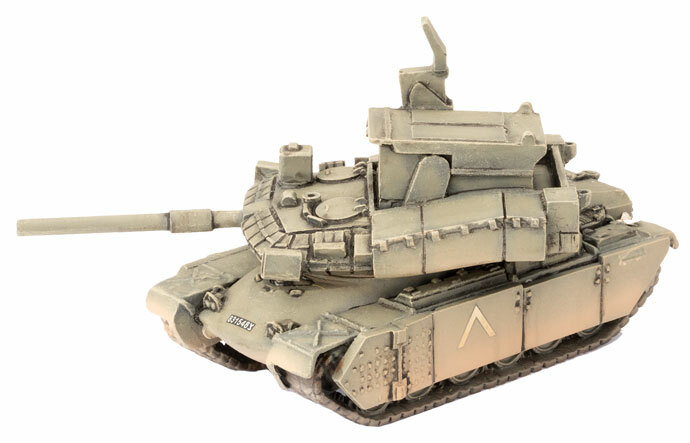 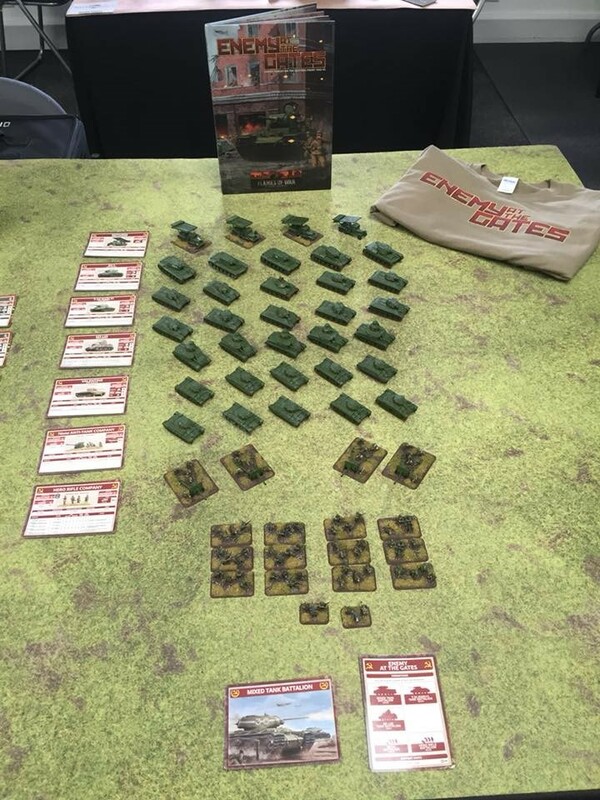 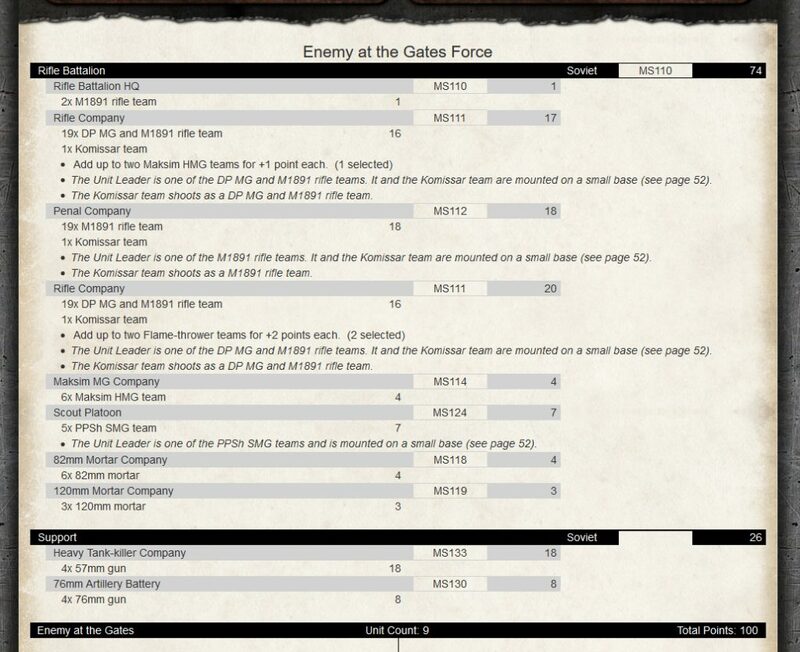 AND with the Kursk books slated for release soon, all I have to do is add a few more cool tanks and a platoon or two and drop the valentines to have a (probably) game winning force in the future. 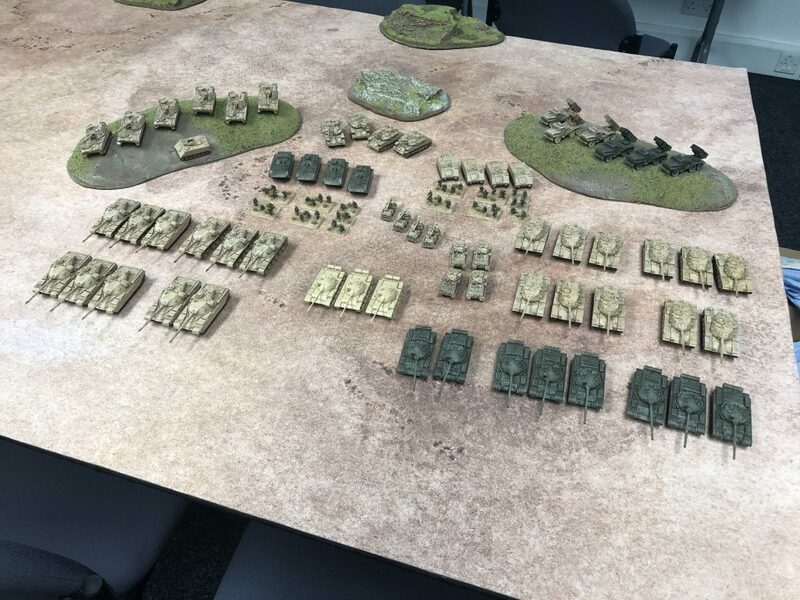 Plus for the first time in 2 years I have a fully painted army that I am proud of and is ready to take on the enemy in 100pt games (and could be reduced if needed for 80pt games if required).